I even had a countdown to the release date on my phone I was that excited! 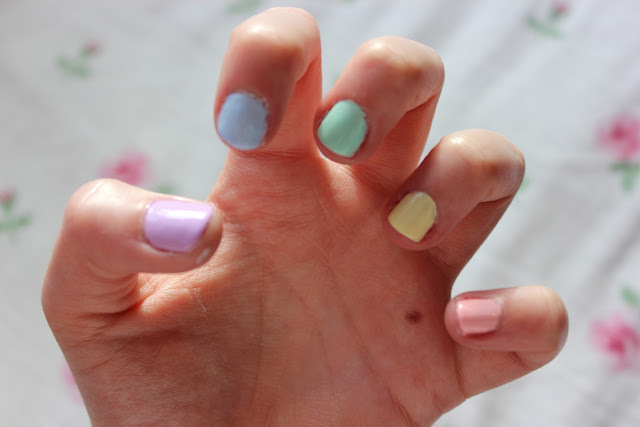 They are the perfect nail polishes for Spring. Now please don't be as silly as me and unscrew the top and sniff straight away - you will feel as dizzy as I did. (Obviously) you have to apply the nail polish and let it dry before the scent kicks in. There's a little scratch and sniff on the lid too incase to want to smell it beforehand. I didn't even do this - I loved the colours so much I bought them regardless. I couldn't possibly choose my favourite colour - but the Grape Juice is my favourite scent, it smells just like the scented gel pens we had in school!